There are just over 20 universities in Greece, spread across the country and all within the public sector. While teaching is mainly in Greek, specialized study programs are also available in other languages (most commonly English), at both undergraduate and postgraduate level. These universities are joined by 15 Technological Educational Institutes (TEIs), which offer higher education programs with a focus on practical and professional skills, in subjects such as applied technology, healthcare, agriculture, management and art and design. Overall Greece’s higher education system is well-respected, ranked 41st in the world in the first edition of the QS Higher Education System Strength Rankings. The National Technical University of Athens is Greece’s highest-ranked institution, ranked joint 395th in 2016/17. Established in 1837, the National Technical University of Athens (or NTUA) is one of the oldest universities in Greece. Today it has around 10,000 students, most studying five-year programs that lead to a diploma equivalent to a Master in Engineering or Science. Its nine academic schools (faculties) cover a range of engineering disciplines, as well as architecture and applied mathematics and physics. Teaching is in Greek, but students attending as part of the Erasmus exchange program complete projects in English. NTUA has several campuses, all located in the lively and historic Greek capital, Athens. The Aristotle University of Thessaloniki is the largest university in Greece, and one of the largest in southeast Europe. Its large main campus is located in the center of Thessaloniki, Greece’s second-largest city, and a popular destination for visitors to the country. 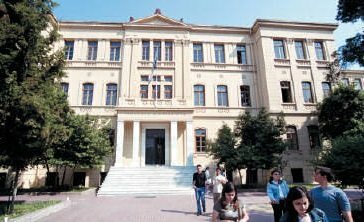 Established in 1925, the institution is named for the famed philosopher Aristotle, who was born close to the city, and is variously referred to as Aristotle University, the University of Thessaloniki or AUTH. It offers courses at undergraduate and postgraduate level across a broad spectrum of subjects, with most courses taught in Greek. In the QS World University Rankings 2016/17, Aristotle University of Thessaloniki is ranked 491-500 in the world. 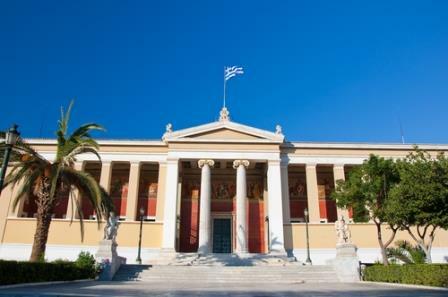 Also ranked among the world’s top 700 universities is the National and Kapodistrian University of Athens. Usually shortened just to “the University of Athens”, the National and Kapodistrian University of Athens was established in 1837, making it the oldest among universities in Greece. It has around 65,000 students enrolled, offering programs across a diverse range of subjects, including law, languages, health sciences, philosophy, political science and natural sciences. The university has four main campuses, each in a different neighborhood of Athens. 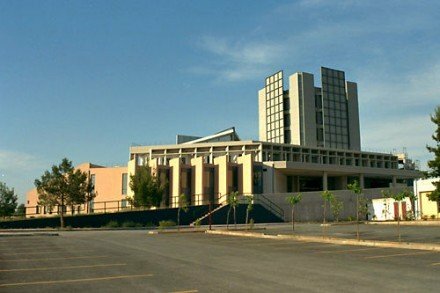 The fourth Greek representative in the QS World University Rankings is the University of Crete, ranked 651-700 in the world. The university’s two campuses are both on the largest and most populous of the Greek islands, Crete: one is in Heraklion, the administrative capital of Crete, and one in Rethymno, which is an ancient town dating back to the Minoan civilization. Established in 1973, the University of Crete has developed quickly, and has around 18,500 students enrolled across its five faculties. It participates in various educational and exchange programs, including Erasmus, Lingua, Tempus and others, and has numerous partner universities across the world. With so much rich history to explore, beautiful beaches and buzzing “party islands”, stunning countryside and glorious weather throughout much of the year, it’s little surprise that tourism is one of the largest industries in Greece. A warm and welcoming country with an outward-looking mentality and a high level of English spoken, particularly in the cities, it’s also an attractive destination for those seeking a sunny and inspiring place in which to study. 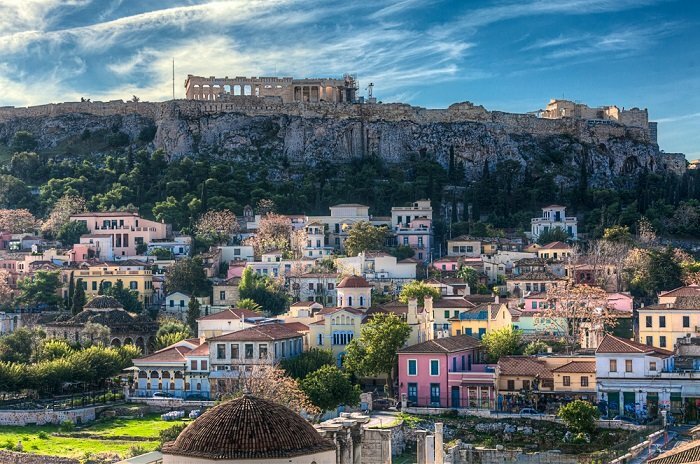 Beneath the iconic Acropolis – the internationally recognizable ancient site which continues to dominate the Athens skyline – the Greek capital buzzes away as one of the busiest cities in Europe. Its wider metropolitan area is home to some 3.75 million people, a significant chunk of the total national population of around 11 million. Athens is also one of the world’s oldest cities, having been continuously inhabited for at least 7,000 years, and it remains one of the globe’s most prominent archaeological and cultural hubs. While still known for its often chaotic traffic, Athens now boasts one of Europe’s largest pedestrian zones, covering a large part of the historic center, and in recent years has enjoyed a new wave of stylish shops, restaurants and hotels. All of this makes for an exciting and eclectic student experience, from historic sites to modern bars, and vibrant nightlife to leisurely coffees. Athens is home to some of the most prestigious universities in Greece, including the National Technical University of Athens, the National and Kapodistrian University of Athens and the Athens University of Economics and Business. Greece’s second-largest city, Thessaloniki is the administrative capital of the region of Macedonia. Located on the coast towards the north-east of the country, it has a long history (spanning 2,300 years) of being a major commercial, economic and cultural center, and in recent years has risen to growing prominence as a top choice for travelers. Thessaloniki was once the “co-reigning” city of the Eastern Roman (Byzantine) Empire, alongside Constantinople, and this has left a legacy of historic Byzantine buildings and structures. Today, the city is known for its vibrant cultural scene, café culture and nightlife. It’s the home of the Greek National Theatre, prides itself on having one of Europe’s most impressive ratios of cafés and bars per capita, and has been listed among the world’s top five “ultimate party cities”. It was also the 2014 European Youth Capital. 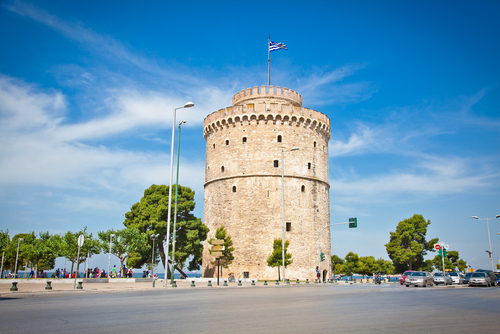 Thessaloniki is home to the second highest-ranked university in Greece, the Aristotle University of Thessaloniki. Also located here is the University of Macedonia, another of the largest universities in Greece. The administrative capital of the island of Crete (the largest among the Greek islands), Heraklion is the fourth-largest city in Greece. 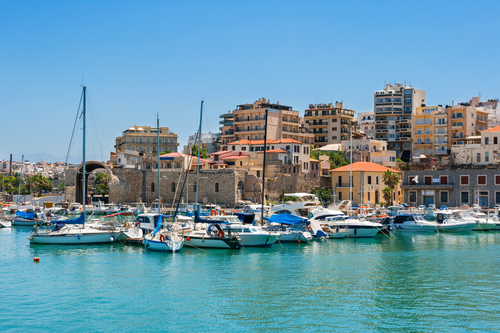 As you’d probably expect of any major Greek metropolis, Heraklion (also known as Iraklio) has a long and interesting history. Established in 824 by the Saracens, the city has been occupied by numerous different civilizations and empires, before being incorporated into Greece along with the rest of Crete in 1913. Following a recent period of renewal, it combines a rich and diverse cultural legacy with a new urban polish, and as a leading hub for Cretan nightlife, commerce and cuisine, it’s popular among tourists and international students alike. 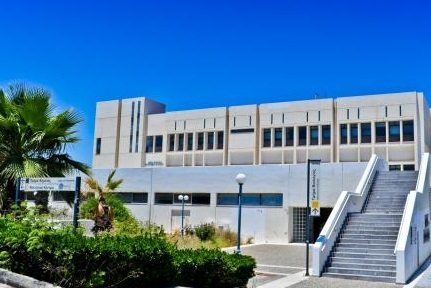 Heraklion is home to one of the two campuses of the University of Crete (the second is in the town of Rethymnon), as well as the Technological Educational Institute of Crete.